The Father Of All Trees is a classic story about one tree that spans time and cultures. 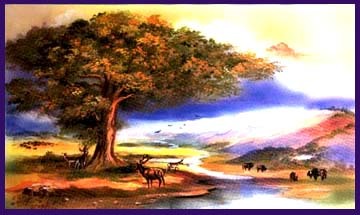 It reminds us of the nature of Mother Earth and how this one tree affected the environment, animals and birds as well as different cultures of people over many years. It will delight children of many ages and adults as well. Suggested reading from age seven to age fourteen. 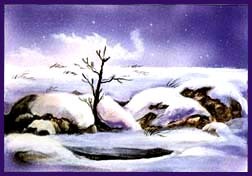 But, fortunately, just when it seemed that the seed was not going to live, some snow that was melted by the hot sun high in the mountains formed a little stream. The stream found its way over the rocks and through the stiff grass to the struggling roots. Small insects started to lay their eggs on and under the tree leaves. In turn, this attracted many hungry birds. 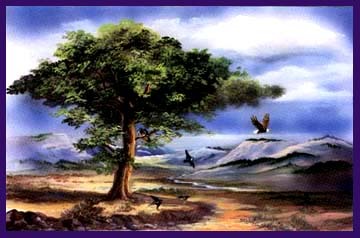 Sometimes the birds would drop soft grass seed carried from other places they had frequented, so grass began to take root and grow around the tree. What was once a lonely, forgotten valley was now alive with life thanks to a stubborn little seed from a pod that had now become a beautiful shade tree. 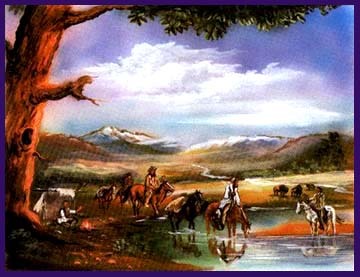 That summer, men with white skin and long guns rode their horses into the valley for the first time. They also made camp under the huge tree as they hunted. But, these men were different from those who came before. To them, the tree was only there for shelter. Some of the tree's lower branches were even cut for firewood.